Complete you heart themed wedding with these Love Double Heart Place Card Holder. 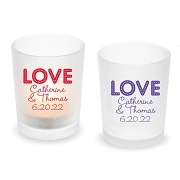 From our love & heart themed wedding collection. 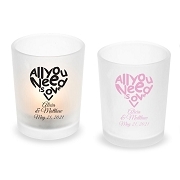 Love is in the air and our fabulous holders will bring the message directly onto your event tables. Stunning in shiny silver, they make perfect place card holders to welcome your guests. 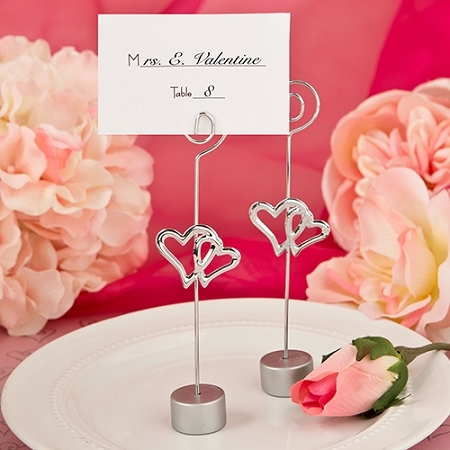 Our place card holder is made from silver metal wire and features two gorgeous silver metal intertwined heart charms. The round base is made from poly resin and finished in a matching silver color. 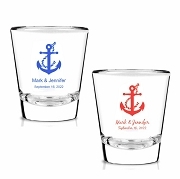 The coiled top allows you to easily slip in a place card showing seating arrangements and names. After the event, your guests will be delighted to take these holders home to showcase a special photo. 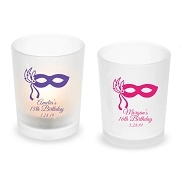 Size is 5 1/2" x 1 3/8"
A stunning idea to bring a romantic ambiance to your event tables!